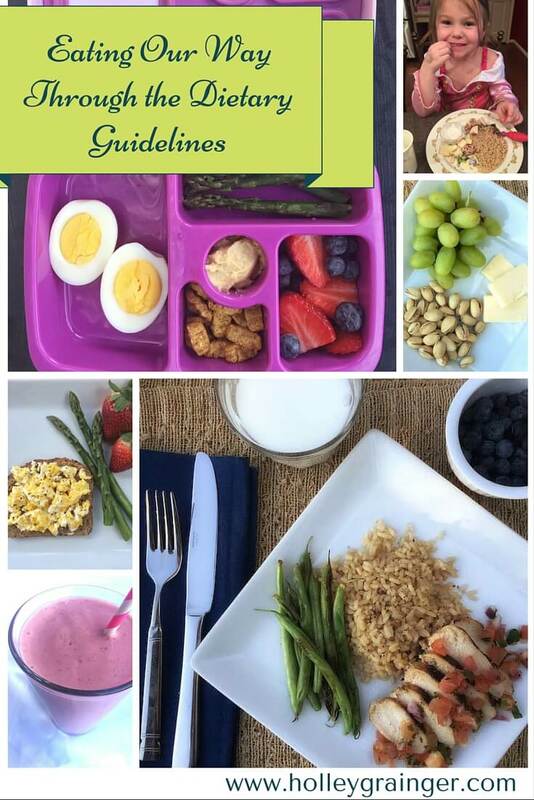 Want to see how a dietitian’s family strives to follow the recommendations from the Dietary Guidelines for Americans 2015-2020? Here’s a glimpse of how I’m bringing the DGAs to the table. Meals in the Grainger household are nothing short of chaotic with two constantly hungry (and slightly “choosy”) little girls. However, I always find ways to make meals fun by focusing on practical, doable, and delicious solutions to work in favorite foods and tons of nutrition. As a full-time working mom, wife, and registered dietitian with a love of food, the kitchen is my haven and the place where I am able to nurture my family. While the girls challenge me daily by changing their likes and dislikes of certain foods faster than I can plan the next meal (or, let’s face it, whip something together at the last minute), providing my family with a variety of nutritious foods through meals and snacks is one of my greatest responsibilities. With the release of the new Dietary Guidelines for Americas 2015-2020 (DGAs) and with March being National Nutrition Month, it is the perfect time to really focus on good eating habits with my family like meeting the recommended 3 daily servings of dairy, reducing sugar, boosting fruit and vegetable intake, and choosing lean meats and healthier fats. According to the DGAs, the US population (1 years old and older) falls short of the recommended intake goals for many healthy foods and severely overeats poor food choices. In fact, 86% eat less than the recommendation for dairy, 87% eat less for vegetables, 75% eat less for fruits, and 44% eat less for total grains while eating 70% more than the recommended limit for added sugar, 71% for saturated fat, and 89% for sodium. Since children ages 2 to 5 years (where my girls fall) are most likely to consumer three meals a day, with 84% consuming three meals and most often, two or more snacks. This gives me up to 5 opportunities every day to add more nutrient-rich foods into their diets. My goal with each meal and snack is to make sure it offers a source of protein, fiber, and healthy fat. By focusing on an overall healthy eating pattern as recommended by the DGAs, I take into consideration all that we eat and drink and the role it plays in helping us meet our individual nutrition needs when planning meals and snacks. We aren’t perfect every time but it is a goal I set to help to support a healthy weight and lesson the risk for chronic disease. Meals in our house vary every day but I hope you enjoy this snapshot of what we ate today to give you a better look at how a dietitian mom feeds her family. Today for breakfast I busted out the blender and set up a smoothie bar. I let the girls add their favorite fruits to the blender then topped them off with 2% plain Greek yogurt and low-fat milk. 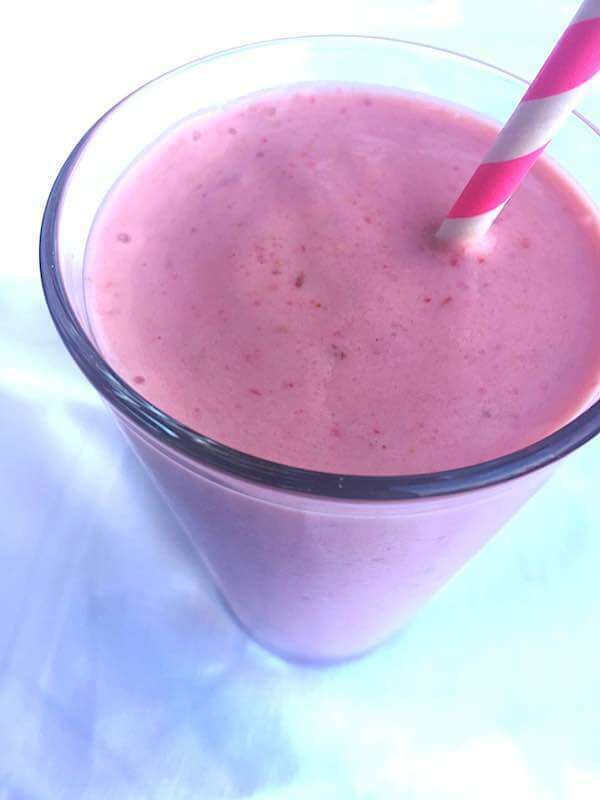 Along with a rainbow of fresh fruits (banana, peach, raspberry, and strawberry this morning), this smoothie not only contributes to our daily requirement of dairy and fruit but the milk and Greek yogurt provide protein. Getting enough protein in the morning helps keep us feeling fuller longer. My trick to making smoothies in just 5 minutes or less in the morning is to keep the freezer stocked with baggies of frozen fruit. Instead of throwing away overripe fruit, I like to chop it, divide into individual baggies and freeze. This trick cuts down on food waste and allows us to have our favorite fresh fruits (like summer peaches in the middle of winter) on-hand year-round. 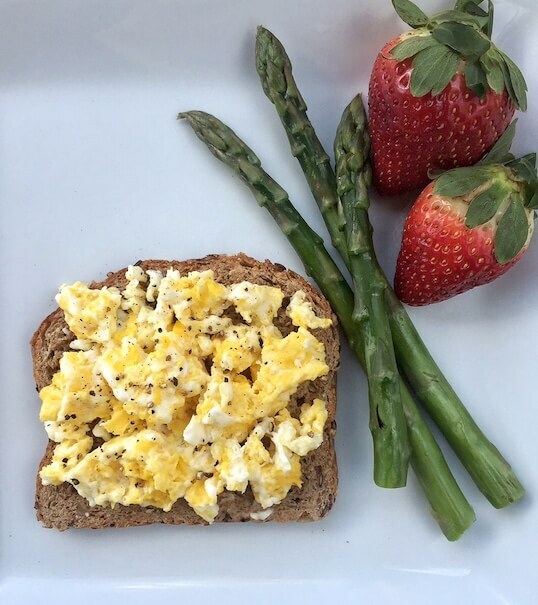 While this morning’s breakfast was extremely satisfying, the smoothie alone didn’t reach the 25-30 grams of protein before noon that I strive for to keep me feeling fuller longer so I made an open-faced scrambled egg sandwich on a slice of multigrain toast and enjoyed it with some strawberries and blanched asparagus. 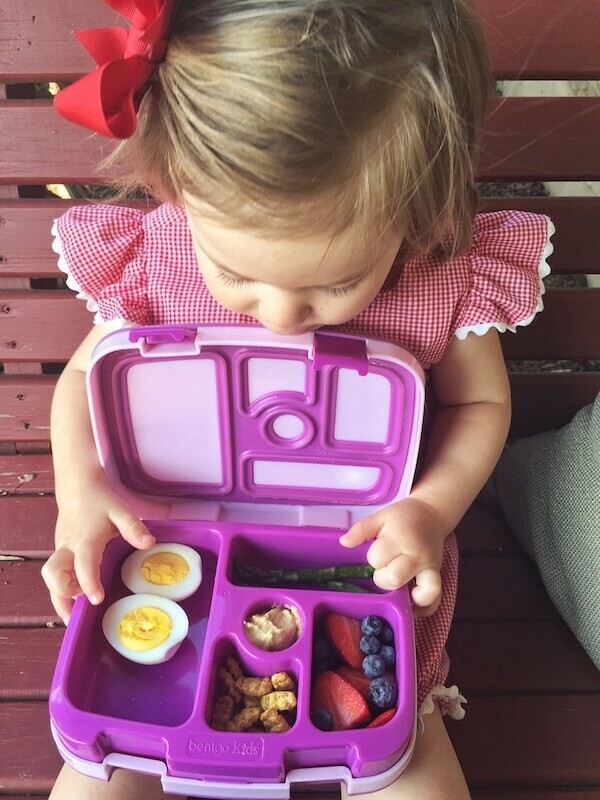 Ellie and Frances’s lunchboxes are my opportunity to have some fun with their food while rounding out food groups they may not get at other times during the day or vice versa. [Want more of my lunchbox ideas? 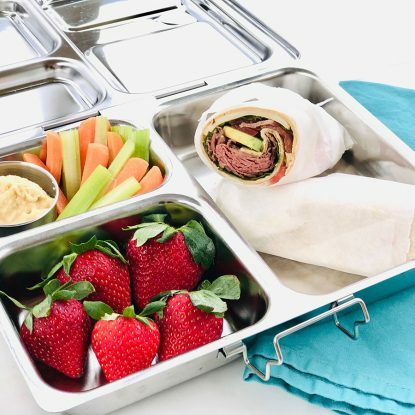 See 125 Healthy Lunchboxes for Kids.] For example, if the girls don’t eat their vegetables at lunch or if I don’t include any in the lunchbox that day, I make sure to work veggies in later for a snack or at dinner. I’ll get cutesy with stickers and cookie cutters when I can but what is most important to me is to make sure their lunchbox is well balanced with a variety of nutrient-providing foods such as milk, Greek yogurt, fruit, vegetables dipped in hummus, grilled chicken breast, and whole grain cereal. Today I packed an ABC Lunchbox featuring foods that start with the first 5 letters of the alphabet: A (asparagus), B (berries), C (cereal), D (dip), and E (hard-cooked egg). I also packed an individual carton of milk to go along with their lunchboxes. I also use afterschool snacks as an opportunity to fill in the gaps in food groups that we may have been missed earlier in the day. I often make small snack platters for a variety of flavors and nutrients. 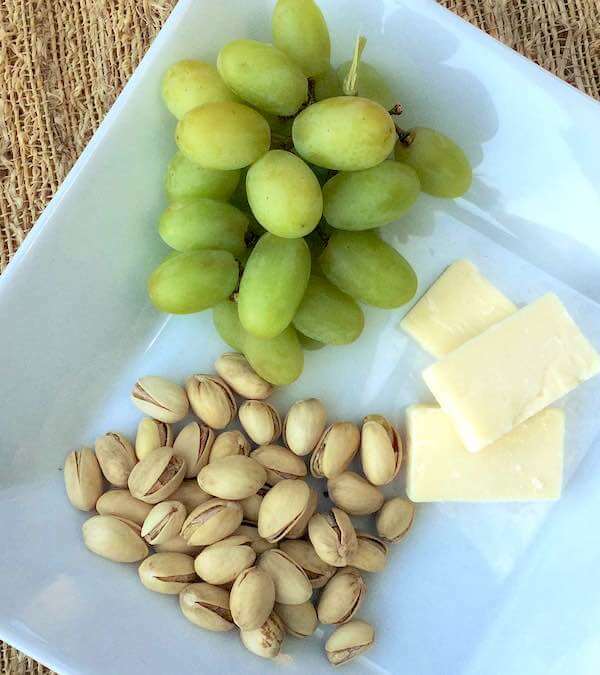 Today we ate grapes, cheddar cheese, and pistachios but we also love apples with peanut butter, carrots and/or cucumbers with hummus, guacamole, or ranch, and yogurt sprinkled with oats and topped with fruit. It never fails that when my refrigerator is empty there are always grilled chicken breasts in the freezer ready to defrost. While I wish that I was better at meal planning and prepping, one thing we always do to help get ahead is double the chicken breasts, pork tenderloin or lean beef we grill so we can use the extras for leftovers or freeze. 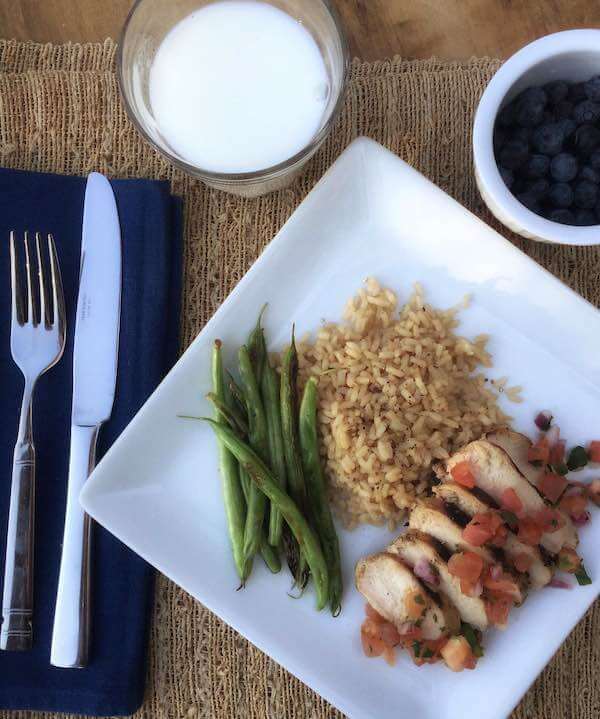 Tonight I defrosted some of our grilled chicken, topped it with fresh pico de gallo and served with brown rice, pan-roasted green beans, blueberries and nutrient-rich milk. The entire meal took less than 10 minutes to assemble. I hope you enjoyed a glimpse of what’s on our table on any given day as we try to follow the Dietary Guidelines. I would love to hear more about what your family eats. 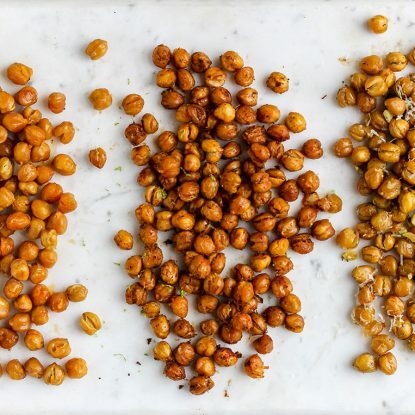 What are some of your favorite meals and snacks to serve your family? How do you meet the recommendation for milk and dairy, fruits, and vegetables? Disclosure: This post is sponsored by the Milk Life Campaign. I was compensated for my time. All thoughts and opinions are my own. Looks very similar to what we like to eat! You make living the DGA seem doable and really tasty! Great post!